Spanning three decades and recounted by his son John Jr. (Spencer Lofranco), Gotti examines Gotti's tumultuous life as he and his wife (Kelly Preston) attempt to hold the family together amongst tragedy and multiple prison sentences. REGION 3 -- S.Korea, Taiwan, Hong Kong, Parts of South East Asia. REGION 1 -- USA, Canada. Many of my movies are rare or hard to find. REGION 6 -- China. REGION 7 -- Reserved for Unspecified Special Use. Title The Forger. Primary Genre Drama. Sub Genre Thriller. Format DVD. Main Audio Type Dolby Digital. Key Feaures. Theatrical Information. Language English. Trending at AU $4.98eBay determines this price through a machine-learned model of the product's sale prices within the last 90 days. THE FORGER ( 2015, DVD ) JOHN TRAVOLTA. ~ IN VERY GOOD CONDITION. REGION 4, AUSTRALIA RELEASE. 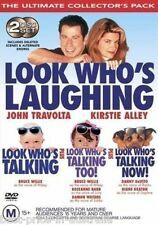 Look Who's Talking DVD Look whos laughing. TRIPLE PACK. 2 DVD SET. 1 : Looks Who's Talking. 3 : Look Who's Talking Now ! 2 : Looks Who's Talking Too. 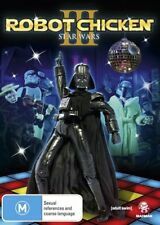 2 DVD Set. 4 out of 5 stars - Look Who's Talking DVD Look whos laughing. TRIPLE PACK. 2 DVD SET. 4 product ratings4 product ratings - Look Who's Talking DVD Look whos laughing. TRIPLE PACK. 2 DVD SET. STARRING JOHN TRAVOLTA. REGION 4, [ R4 ], AUSTRALIAN RELEASE. DISC IN LIKE NEW CONDITION. Starring John Travolta & Christian Slater. BROKEN ARROW DVD. 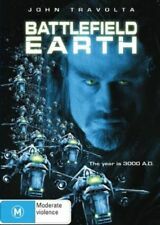 PAL DVD format. Region FREE. Very good used condition. DVD,S may have light surface marks but does not effect playing. THIS DVD HAS NO STICKERS ON THE COVER OR DISK. Each DVD is then tested to make sure they load up. ALL DVD'S ARE GENUINE RELEASES. 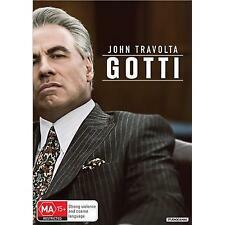 "Be Cool" - John Travolta - Uma Thurman - DVD.Genuine Australian release in Excellent condition. A Civil Action. Geographical Codes - Regions of DVD's. Like NEW, watched twice and both DVD and jewellery case are in perfect condition. (Only one DVD available). Primary Genre. Widescreen, Audio: Dolby Digital 5.1 surround sound. DVD has been watched. 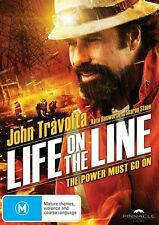 Life on the Line. · Pick up is not available for this item. 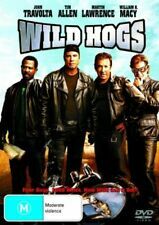 In this "edge of your seat thriller" , John Travolta stars as Frank Morrison, a man who discovers that his son's new stepfather (Vince Vaughn) is not who he pretends to be. STARRING : John Travolta, Vince Vaughan. A single mother in her mid 30's sets out to find a proper father for her son. Features Bruce Willis as the voice of 'Mikey'. The sequel is 'Look Who's Talking Too (1990)'. Look Who's Talking. This is a Region 4 coded DVD. Region Code - Region 4. REGION 3 - South Korea, Taiwan, Hong Kong, Parts of South East Asia. REGION 0 / REGION ALL - Uncoded and can be played Worldwide. GREAT - May have a couple of very faint/light scratches. DVD Compatibility: Most of our DVDs are usually in PAL format and Region 4/R4 and will work in all Australian & New Zealand DVD players. Any exceptions to this will be listed in the item specifics. All Region: Any Country (Region: 1-6). John Travolta. 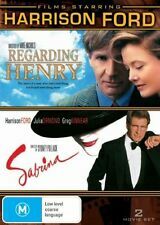 A CIVIL ACTION - DVD R4. REFERENCE GUIDE. RATED CONDITION:LIKE NEW. 10 Perfect Condition LIKE NEW. 9.5 Only very minor superficial marks showing evidence of use LIKE NEW. DISC CONDITION :9.5/10. REGION 4, PAL Format. For use in Australia. This DVD might not play in USA / Canada. a legitimate supplier.